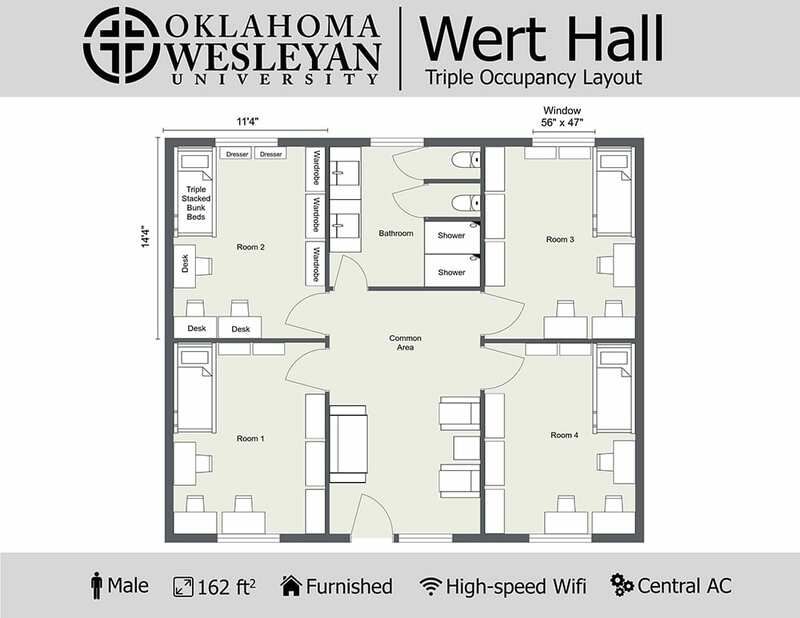 Wert Hall is dedicated in honor of Dr. Clarence Wert, the president of Oklahoma Wesleyan University from 1957 to 1960, when it was still Central Pilgrim College. 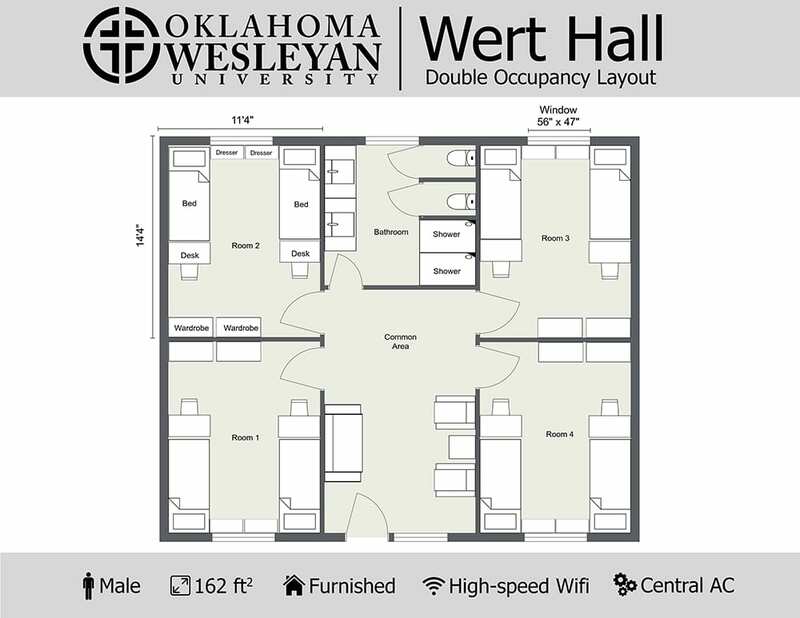 Wert is set up in a quad-style arrangement in which four rooms share a lounge and bathroom. Alpha and Beta Quads are on the first floor. Gamma, Delta and Epsilon Quads are on the second floor. Wert Hall has laundry facilities available.